Join us for the EFFA 2018 closing night presented in partnership with Darebin City Council, and enjoy complimentary food and refreshments after the screening. In 1977, world-renowned cinematographer Neil Rettig captured the first filmed images of the Philippine Eagle in the wild, transforming the bird into a national symbol. Native to and found only in the Philippines, this majestic creature is at once the world’s largest and rarest eagle. Shockingly, less than 700 remain today, and the future of these iconic birds is tied to the preservation of the Philippine’s last fragments of old-growth forest. With the Philippines rapidly expanding population facing serious political, economic and environmental battles, the eagle’s plight has sadly fallen out of public consciousness, spurring Rettig to return and embark on a gruelling expedition alongside the next generation of Filipinos determined to save the eagle. Together, we will witness their fight to save this beautiful species from extinction. Enhanced by beautiful wildlife photography and immaculately restored archival footage, Bird of Prey deftly explores the vanishing world of the Philippine Eagle and the inner lives of the heroes who will stop at nothing to save it. Bird of Prey will screen with Australian short film Darebin's Natural History (12 mins) directed by by Lee Ramsayer-Bache and Nicholas Scott. Cr Steph Amir was elected to Council in 2016. With a background in science and research, Cr Amir is committed to evidence-based decision-making on council. She is passionate about environmental sustainability, supporting Darebin’s thriving arts community, and making Darebin a more equitable place to live for all current and future residents. She lives in Preston with her partner and daughter. Nadine Richings is a biologist with a life-long interest in the environment and species conservation and she works to connect science and society through education, communication and advocacy. 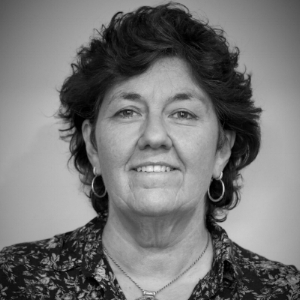 She is a member of the Animal Justice Party, where she is the Regional Group Leader of Northern Metro, and a member of the Australian Conservation Foundation and is active in the ACF Darebin Community Group. 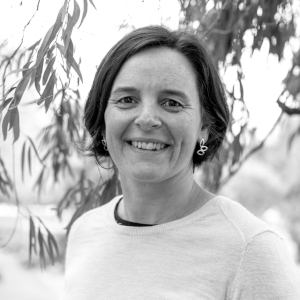 She is also a member of the Society for Conservation Biology, Australian Science Communicators, Darebin Environment Reference Group and the newly formed Darebin Nature Trust, whose mission is to protect, conserve and enhance Darebin's Natural Heritage. Marnie is the Strategic Projects Manager at Trust for Nature, Victoria’s dedicated private land conservation organisation. Her role includes working with Bank Australia to help manage its ~1,000 hectare conservation reserve in the Wimmera, in partnership with Greening Australia. Originally trained as a lawyer in Melbourne, Marnie has worked in conservation organisations in both the US and Australia, and practised as an environmental and planning lawyer in Los Angeles. Outside of work, Marnie is School Council President at her children’s local primary school and a board member of Lord Somers Camp and Power House, a not-for-profit community organisation. Dr Leslie Fraser is a long term resident of Northcote and a Life Member of Friends of Merri Creek. She is currently a coordinator of Friends of Merri Park, as featured in the short film on Darebin’s Natural Heritage. Dr Fraser's professional background is in history and she currently volunteers on an archival project at Merri Creek Management Committee. She is an active member of Darebin Greens.